Apparently, we check our phone an average of 85 times per day. 85 times! No wonder we see so much in the media these days about the detrimental effects of smartphone usage. There are loads of unpleasant side effects to our brave new digital world. Things like stress, social anxiety, problems with attention span and human connection to name a few. Not surprisingly, many people think smartphones and digital technology will be the ruin of us all. But I think they said the same thing when The Beatles first hit the airwaves. Love it or loathe it, digital life is here to stay. I believe there are plenty of ways that we can limit the negative impact of technology and devices and even use technology to manage stress and anxiety instead of creating it. “There’s an app for that.” This seems to be the standard response to just about anything these days. Whether you’re looking for a way to exercise, shop, eat well or meet a new partner! As well as apps, there are also smart gadgets and devices to monitor our every move and now our every breath. Check out our product page if you’d like to buy a Spire breathing tracker of your own. I use a lot of technology and software to help me run my business and my social life, and I have to admit that I get sucked into the social media spiral more often than I care to admit. A quick look at Instagram and before I know it twenty minutes have passed and I haven’t learned or gained anything in that time. Now that we’re more plugged in than ever, is it actually doing us any good? Next time you’re immersed in some serious scroll time on social media, take a moment to observe what your body is doing. Do you feel your heart racing as you scan your news feed? Do you notice your breathing get faster when you refresh the page, or a new like appears? Perhaps you feel a little buzz of euphoria when a new email or notification pops up? After your session, do you find it hard to switch off your brain, or you’re left feeling agitated or unfulfilled? When social media usage starts to affect your physical wellbeing, then it’s a sign that things aren’t right. 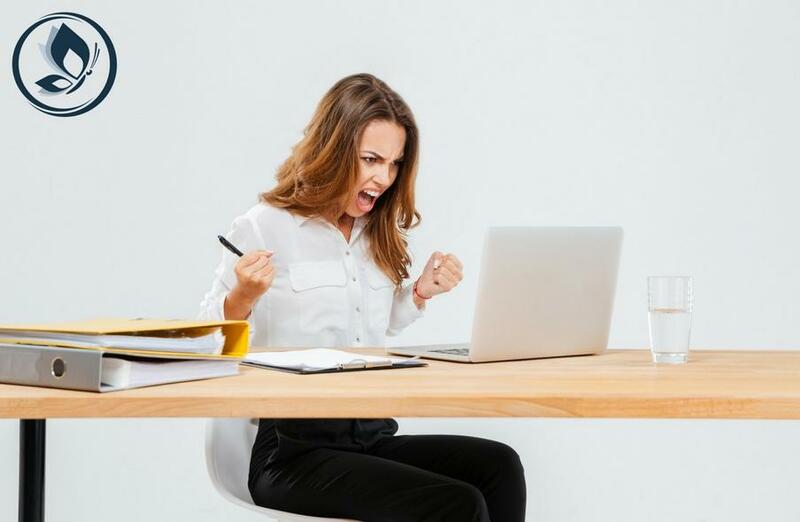 Is technology creating or reducing stress in your life? How about taking a digital detox once a week and unplug from the internet. Research out of John Hopkins University in 2017 showed that social media use negatively correlated with wellbeingand that each click, link click, or status update also delivered a decrease in self-reported mental health scores. Makes you think twice about liking a post! Perhaps this is telling us that these virtual interactions are not nearly as good for us as personal interactions. It is only real-life connections that will ever make our brain and soul smile. Depression and anxiety is a tricky beast and many of us find it difficult to identify, whether it’s within ourselves or in those around us. A common symptom of depression or anxiety is using a vice to numb true feelings. These days, one of the easiest ways to numb ourselves is through social media. Using social media could compound symptoms as research has found a link between increased social media use and depression and anxiety. Social media is smart and is getting smarter every day. Each time you jump on social media you are willingly giving away data that is used to show content on your news feed that the provider believes you should see. It responds to your activity online by showing you ads and content that it thinks you need or are interested in. Often, this suggested content becomes a trigger to take you to other places. And sometimes these are not the places you need to go, particularly if you are experiencing tough times. But who’s in charge here? The humans or the machines? You can stay in charge by sticking to the content that you went online to see, by using social media positively and ignoring suggested or trigger posts. 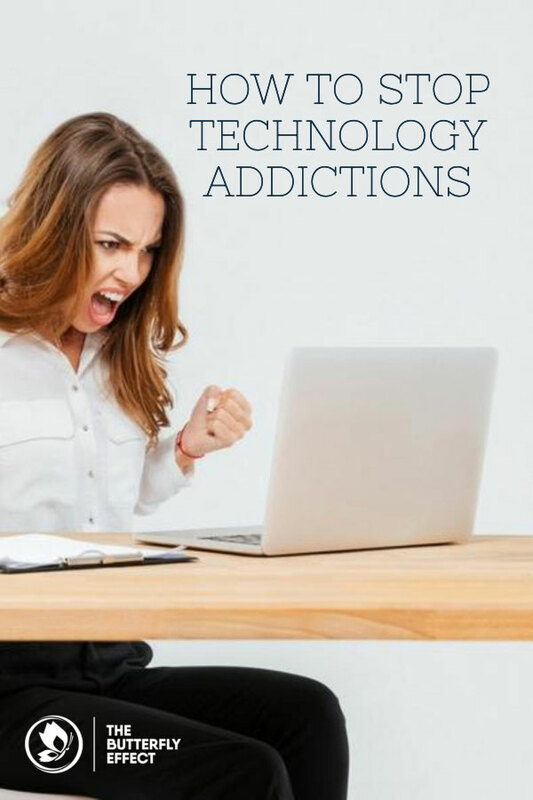 The evolution of social media has given rise to a new type of addiction, technology addiction or digital addiction disorder. This modern addiction is slowly gaining attention and prompting more research. We are starting to see the impact of smartphone addiction, social media addiction and internet addiction. The line between high-use and addiction is a blurred one. How do you know when you are addicted? In most opinions, addiction occurs when the habit begins to impact a person’s life in a negative way. When someone is addicted to the internet or social media they crave the “hit” of online time. Similar to other addictions, happy hormones in the brain like dopamine are released, and pleasure centres in the brain are activated when they check their phone or get a like. To deal with any addiction it’s necessary to work through the underlying emotions and causes that drive us to seek pleasure in this way. We don’t know what level of screen time is ok or the full impact screen time has on the brain long term, but if we don’t wise up to this new form of addiction, we will start to see it having a massive impact on many generations. We may be the most digitally connected we have ever been but we are the most disconnected in our relationships. Get out from behind the screen and create real moments. Do you like to have a “quick” scroll through Facebook or check emails before bed? Do you think it’s a good way to chill out or unwind before hitting the hay? Well, time to think again. There is now evidence to show that a digital hit a few hours before bed will seriously harm your quality of sleep. Technology affects sleep by upsetting melatonin production, the hormone that is vital to help your body fall asleep and stay asleep. Years ago, I used to check my phone and emails before bed. I thought I could justify it because I had a busy work and family life. But eventually, I realised the impact it was having on my body. I realised it was causing stress, poor sleep and faster breathing so I started to change my relationship with technology at night. We are not designed to be available all the time. The constant access to technology trains our nervous system to be “on” at all times and release stress hormones because of this. To help improve sleep, create a digital-free zone at least 30 minutes before you sleep. This means no TV, no emails, no phones and yes, no social media (I know sometimes I even struggle with that). Secondly, avoid having your phone in your bedroom. I know a lot of people use their phone as an alarm, but there are still such things as alarm clocks and they are very cheap! But if you must use your phone, turn it to silent or even better Do Not Disturb mode . Most smartphones have this function, which only allows calls from selected people, or sends an automatic message. It stops all non-urgent notifications, text messages and calls. Simple habits like this can have a huge impact on your sleep. And we all know sleep is one of the best ways to reduce anxiety and stress. How do you reduce the impact of technology on your life? I know that it can be tough to untangle yourself from technology. But it’s something I would strongly encourage you to take a look at. I know too many people who say they have their email alerts on all the time in case someone needs them. But honestly, who says we need to work that way? Surely people will understand if you are not available between 8pm and 8am? To reduce the stress that technology can cause, we need to change our relationship and our behaviours with it. And it starts with simple things. Turn off notifications on your apps unless they are essential. This small move can stop your body being triggered to check your phone one of those 85 times a day. We coped before we had notifications for social media and messenger so why not try living without it? One of the healthiest things you can do is a digital detox. Why not set an intention for 2018 to do a digital detox for one day every week? See how you clear your head and reduce tension in your body when you are not influenced or triggered by your phone. Instead, look up, get into nature and work on being present. That means being aware of where you are right now, not where you could be or what others are doing. And how about taking it to a whole new level and turning off your email alerts! Yes, you can do it. Set a time every day that suits you to respond to emails. This is not only a more productive use of your time but also focuses the rest of the day to be digitally unplugged. And if you’re worried about everyone else’s expectations set up a reply email that outlines when they can expect a reply (i.e. “I check my emails at 9am and 3pm every day.For anything urgent just pick up the phone and call me.”). These small mindful technology habits are pretty simple, yet they will have a huge impact if you are looking to declutter your life and reduce the negative impact of technology use. Spire: Created in the Stanford University Calm Lab, Spire is a breathing biofeedback tool that tells you in the moment when your breathing is tense and when it is calm. Your breathing becomes fast and shallow in times of stress and fear and Spire will notify you of this change in breathing (before you are even aware of it) and prompt you to improve your breathing function. Priced at NZD$229 it is a nifty little device for anyone who is struggling with anxiety, stress or pain. Smiling Mind App: This might be one of my favourite free mindfulness apps. I love it because its vision is to help every mind thrive. Developed by psychologists, it has sessions for kids, adults, experts and beginners. If you are just beginning to explore mindfulness then try Smiling Mind for a month. Commit to 10 minutes a dayand see if you can put a smile on your mind. Insight Timer app: Sometimes I need a bit of guidance to get my mind to quieten. The insight timer is a perfect technological addition to your meditation practice. It has over 1,600 meditation teachers contributing, and at any one time you could be meditating with 50,000 people around the world! Apple watch: Apple is a mastermind of technology and when I saw that Apple had started to incorporate breathing into its new watch I was over the moon. What I love about the breathing app is that it uses visual cues. You can set how often you get reminders and you can set how many breaths per minute you want to take. Ideally below 8 breaths per minute will help calm the nervous system. The downside of this app is that it doesn’t differentiate between the inhale and the exhale length and if you are unaware of the right ratio it can keep you feeling stressed and tense. To help train your breathing pattern you need my number 5 technology fave. Exhale: Learning to breathe well is a life skill we need to be taught. When it comes to reducing stress and changing the way you breathe, there is nothing better than working one-on-one with a coach. 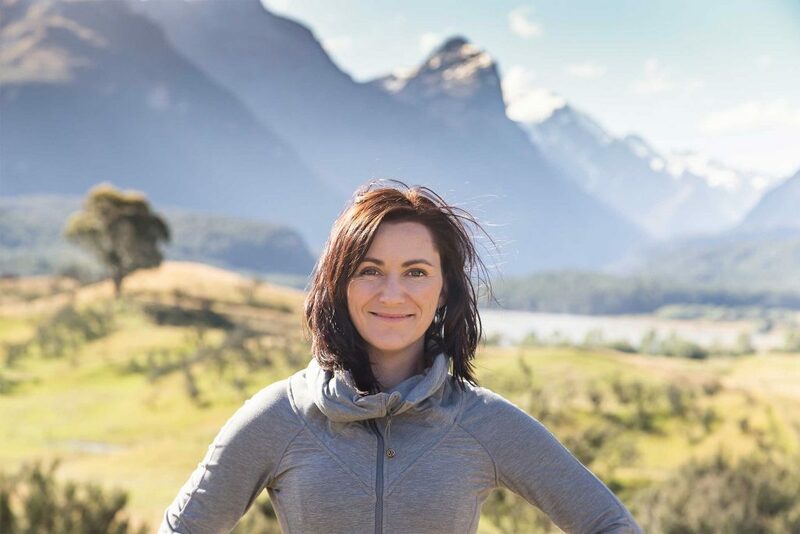 But that isn’t always possible or within budget, so I created an online course to helps you learn the science and exercises of calm breathing to improve health and happiness. This video-based online program takes only 15 minutes a day and is accessible for 12 months after signing up. Learn how to reshape your life and help deal with the physiological effect that technological triggers have on the body with The Big Exhale 30 day course. Sometimes, it feels like the only way we can completely get away from the digital influence is to escape to a deserted island. But the reality is that this isn’t going to happen and we need to be able to manage life in a technology-filled world. To help look after your body and manage your brain’s reaction to technology we need to change our behaviour when using it. We could continue to blame the technology and say it is the phone’s fault that we sleep less or feel anxiety and depression but really, we are in control. Take a moment to pause, exhale (as I love to take a long breath out to help relax the body) and reshape your relationship with technology. Moving forward into 2018 how will your habits around technology and social media help or hinder your health and wellness? What one behaviour with technology can you change this month that will reduce stress in your life? It could be disconnecting or connecting with digital devices in a way that is healthy. We would love to hear what you think and share your ideas with our community. Leave a comment or jump over to our Facebook page and share.